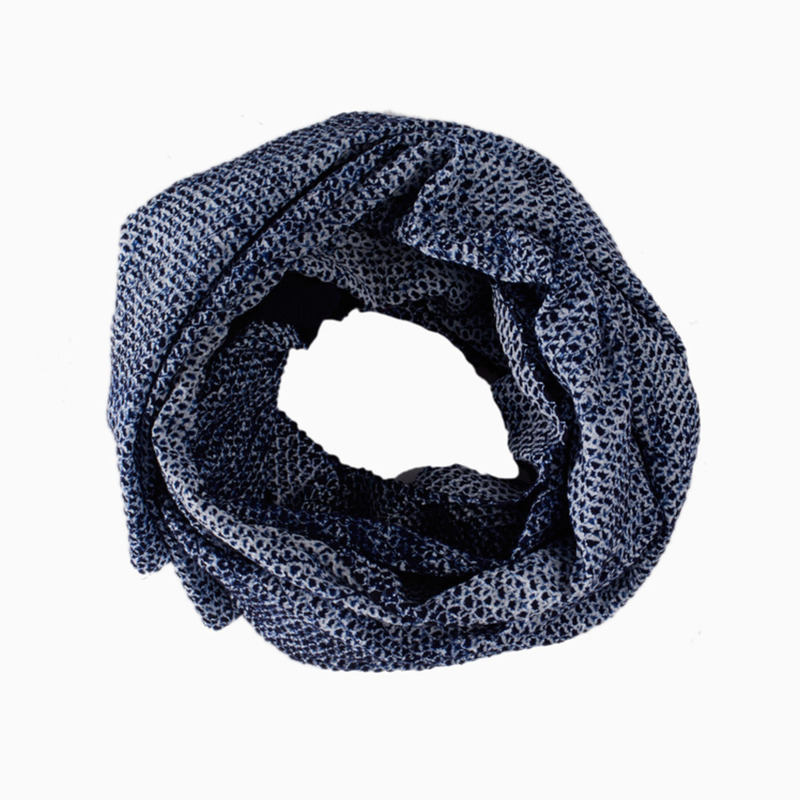 Light enough to wear in the spring and cozy enough to wear in the fall, this gorgeous shibori scarf is perfect any time of year. 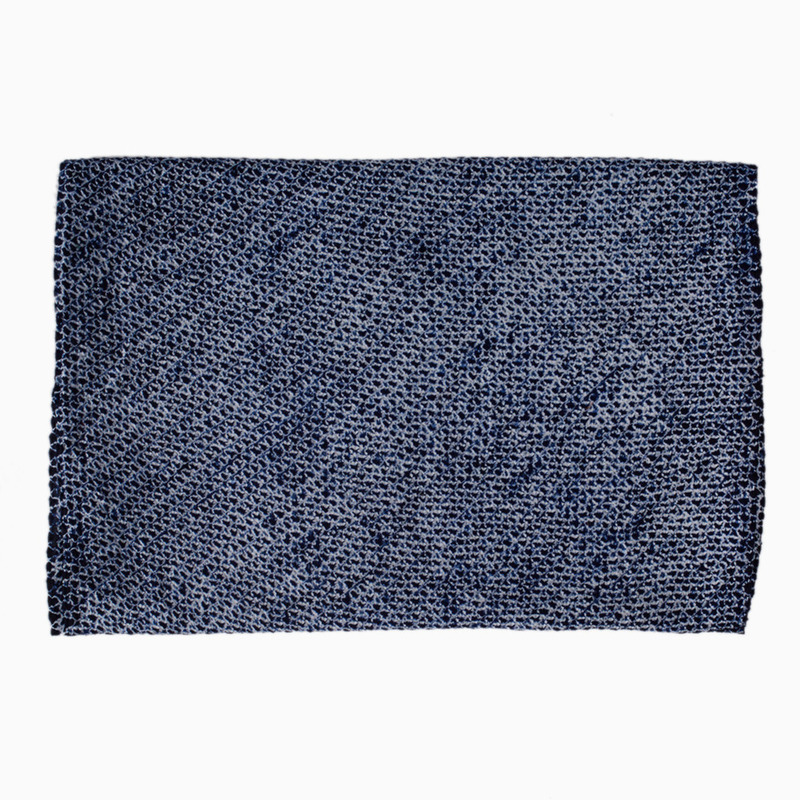 We purchased it in the town of Arimatsu, a shibori center since 1608. 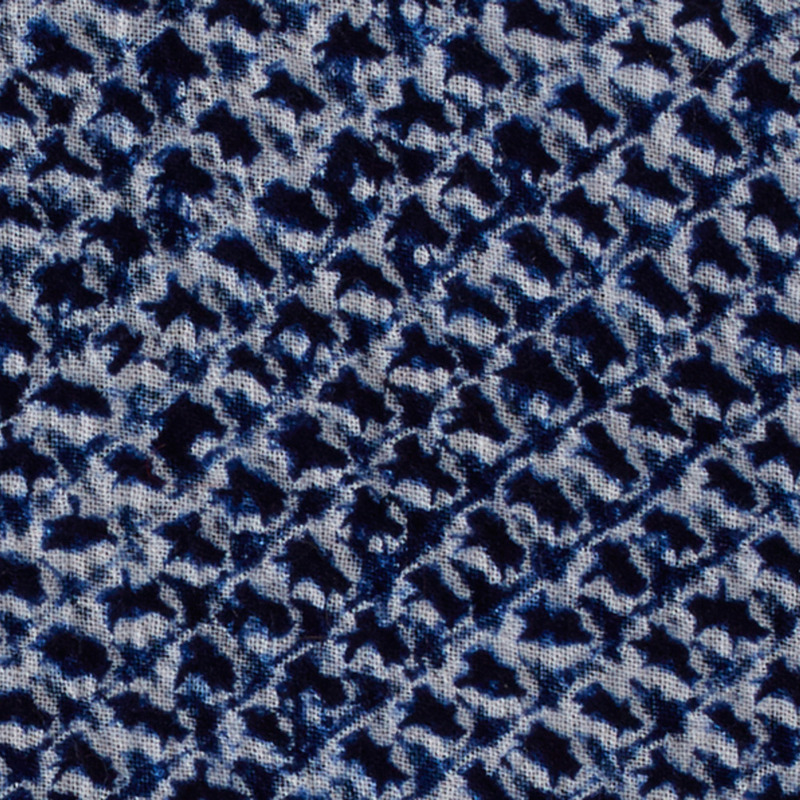 Shibori designs have their own names, and the one here is called miura, supposedly named after the doctor’s wife who brought the art of shibori to Arimatsu. While shibori is currently a fashion world darling, there are only a handful of artisans making it in the traditional manner today. 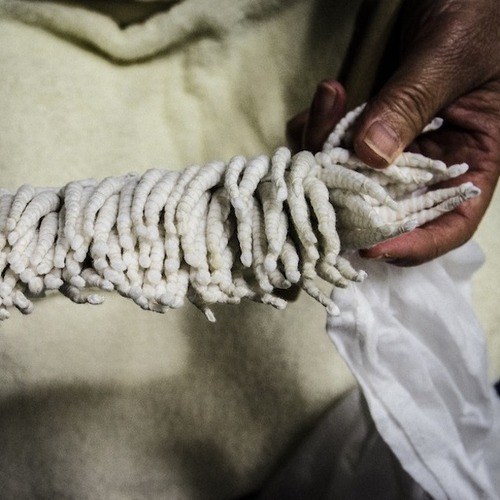 The ancient craft of Shibori, still practiced in Arimatsu today, is a precise resist-dyeing technique. Fabric is folded, twisted, compressed, stitched and sometimes tied to create complex designs. Different techniques result in different patterns: to make the diagonal stripes called allashi shibori, for example, the cloth is wrapped and bound around a pole. After the cloth is tied, it’s taken to the dyer. Shibori used to be hand-dyed in a tedious process using wooden barrels, but in recent years, Arimatsu’s dyers have started to use electrically-heated dyeing machines, which has dramatically speeded up the process. Today you can find shibori on catwalks from Paris to New York, but its spiritual home is and always will be the lovely town of Arimatsu, Japan. 2 ft long, 13" wide. Comes un-ironed and may be worn as is or pressed. Cotton. Hand wash in cold water as colors might run.